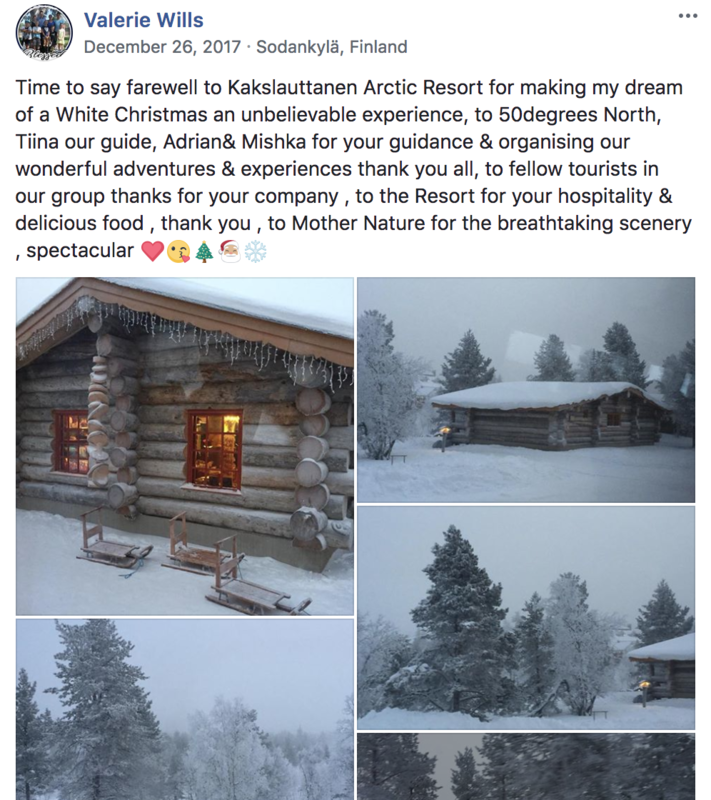 Our testimonials are gathered from personal emails, facebook reviews and stories provided by 50 Degrees North guests. We look forward to welcoming your family along as well to experience our beautiful region. 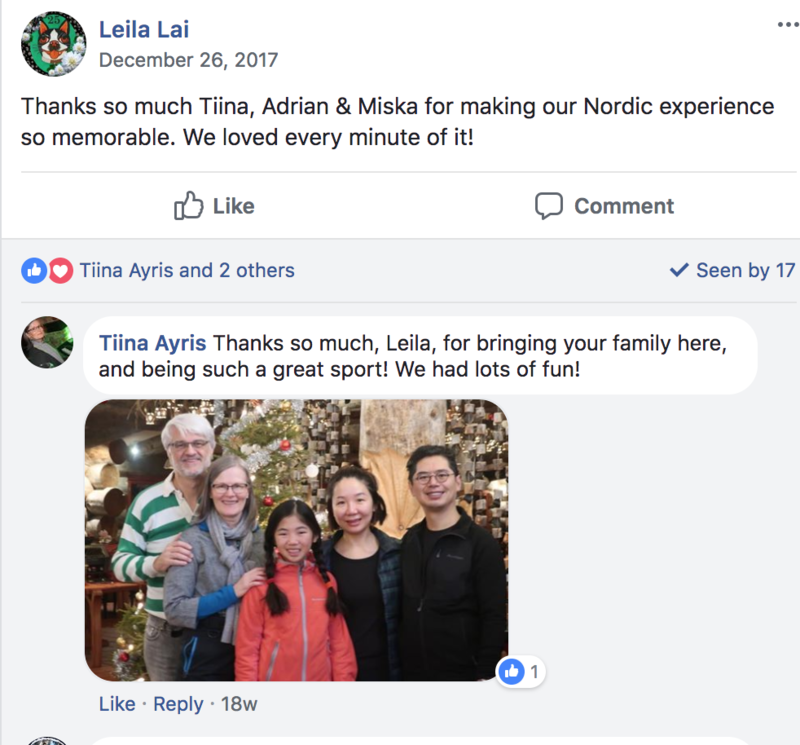 We created private group facebook pages for our Christmas groups in 2017 and here is a snapshot of feedback we directly received on these pages. 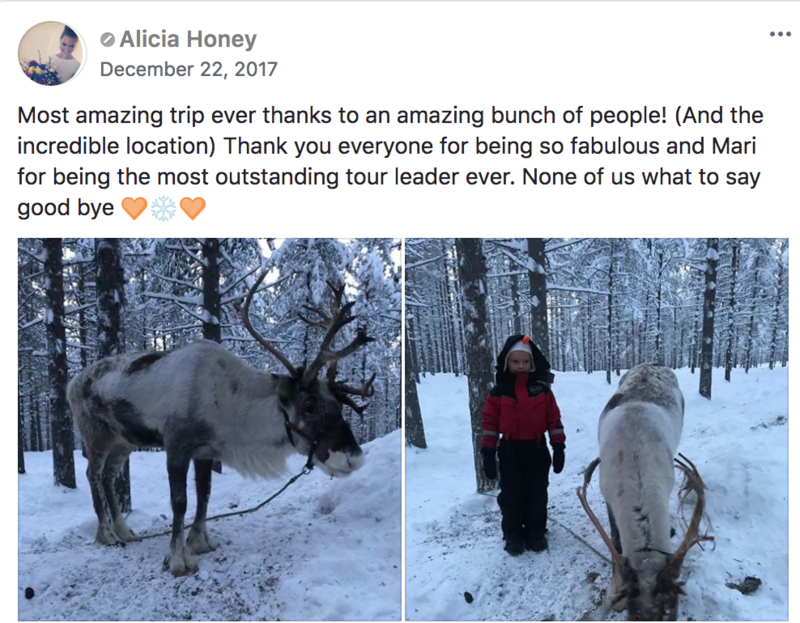 We have had families send in lovely stories about travelling with us - read Jack's story about meeting Santa on the Santa, Elves and Glass Igloo tour. 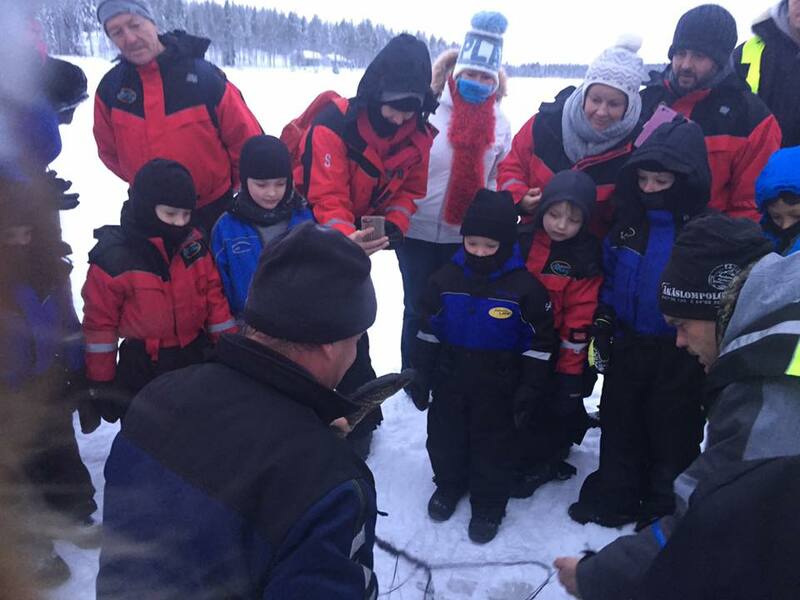 Kids below enjoying ice fishing on the Lapland Winter Magic tour, 2017. Here is another story about a family who travelled independently over January 2018, staying in Northern Finland for two weeks. Read here for Annette's account of her family holiday and celebration of her birthday in Lapland. Read here for Carrie's facebook review of her Nordic holiday with kids! Or Jennifer Grace's summer holiday. More general testimonials for 50 Degrees North can be found here..